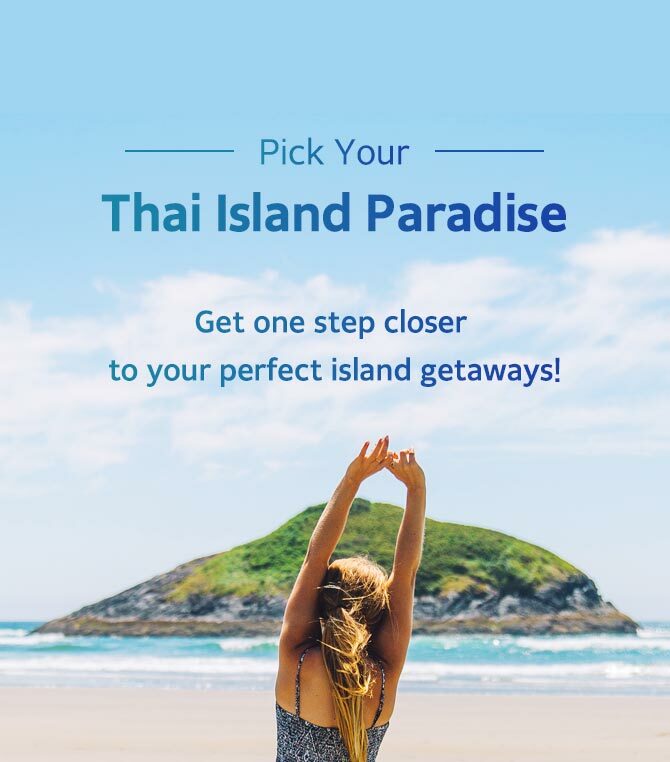 Krabi is lying right next to Phuket, and it is an ideal destination for those looking for a one-stop destination where you can enjoy pretty much everything such as incredible beaches, fun outdoor activities, and sightseeing! Krabi is just as beautiful as Phuket, and it is quieter and perhaps even more charming in its own way. To help you experience Krabi to the fullest, we have compiled a list of some of the best things to do and see in Krabi. Krabi is a huge province with a group of beautiful islands located in the southern part of Thailand. There are countless islands in Krabi, and here are the must-visit island destinations you can go to from Krabi. Since it was featured in the James Bond movie in 1974, the James Bond Island has been a must-visit place for tourists. Phang Nga Bay, where the James Bond Island is located, offers a jaw-dropping seascape. In Phang Nga Bay, there are many small islands besides the James Bond Island. Joining a tour by speedboat is the easiest way to immerse yourself in the beauty of Phang Nga Bay. During the James Bond Island (Phang Nga Bay) tour, you will visit 3-4 islands in Phang Nga Bay, exploring the caves and canoeing. You will have some time to swim and chill by the beach also. It’s a nice day suitable for people who want to have a relaxing day riding a boat and watching the beautiful landscapes. The Rok Islands are divided into 2 islands which are Koh Rok Nai and Koh Rok Nok. They are small and very untainted island paradises where you can see an impressive coral reef system and pristine white-sand beaches. The Rok Islands have a thriving underwater ecosystem, which makes divers and snorkelers have the best underwater experiences. There is no public boat service to the Koh Rok Islands, thus you will need to take a day trip from Krabi. Rok Island tours are not available from May to October as the islands are closed during this time. Hong Island is a fascinating island with its beautiful lagoon, which is very clean and clear. In Thai, ‘Hong’ means ‘room’. This island has a peculiarly shape, creating a lagoon at the center of the island. The water level in the lagoon is not too high, thus it is safe to play in, even for kids. Unlike the Rok Islands, this island is open all-year round, and the recommended period to visit is from November to May. The 4 Islands Tour is one of the most popular day trips from Krabi. It takes you to the group of islands closest to the coast – the ones that can be seen on the horizon from the Ao Nang Beach. The four islands are Koh Poda, Koh Poda Nok (Chicken Island), Koh Tup and Koh Mor. The tour also stops off at the beautiful Phra Nang Cave Beach and Railay Beach. These beaches are actually on the peninsula, but they are only accessible by boat. Railay Beach is also considered to be one of the most beautiful strips of sand in the world. Chicken Island: It is well known for its limestone that looks like the shape of a chicken. This is a famous spot for snorkeling. Tup Island (Koh Tup): It is one of the most stunning places in Thailand. If you go there when the tide level is low, you will see the sand dune that looks like it’s dividing the sea into 3 parts! Poda Island (Koh Poda): It is famous for its white beaches, turquoise water, and the huge rock in front of it (pictured above). The rock looks somewhat similar to James Bond Island. The Phi Phi Islands are probably the most popular spots near Krabi. There are numerous Phi Phi Island tours departing from Phuket and Krabi, and normally the tours from Krabi are cheaper than the ones from Phuket, as they are closer to Krabi. Also, it will take less time to get there, thus you can beat the crowd before it gets busy. You can either take a day tour to the Phi Phi Islands from Krabi or simply just take a ferry to Phi Phi Don and make your own DIY tour as there are countless things to do in Phi Phi Don. To learn more about Phi Phi Island, read our other post as well 👉 The Ultimate Guide to the Best Phi Phi Islands Tours. Krabi is a home to the Khao Nor Chu Chi National Park. Taking a stroll to the mangrove forest is another must-try thing you shouldn’t miss in Krabi. There are very special places in the rainforest in Krabi, which are called Emerald Pool and Krabi Hot Springs. Emerald Pool is a natural swimming pool. To get there, you need to walk about 1,400m from the entrance, but the scenery is definitely worth walking. It is truly a magical experience to swim in the emerald green pool surrounded by the lush jungle. Krabi Hot Springs are quite small but very relaxing to sit in for a while. They are just a few minutes walk from the entrance in a lovely natural setting. The Emerald Pool and the Hot Springs are about 15 minutes drive from each other. Also, In the national park, you will see various unique wild animals such as the Black-breasted Pitta, the Brown-throated Sunbird, and the Black hornbill. If you want to see this natural wonder with your own eyes, here’s a great day tour departing from Krabi for you. Every Thailand city has its own walking streets, and Krabi is no exception for it. Krabi’s most popular walking street is Ao Nang Walking Street, which is located right in front of the Ao Nang Beach. Just like any other walking streets in Thailand, Ao Nang Walking Street also has a variety of markets, shops, restaurants, cafés, and massage shops. Walking along the Ao Nang Walking Street is a good way to get a taste of authentic Thai culture. If you are traveling around Krabi, the best ways to spend your evening after a long day is to just chill out at any bar, or get a Thai massage at Ao Nang town. If you are looking for a more entertaining night in Ao Nang, check out the Blue Dragon Cabaret Show, which is the first ladyboy cabaret show in Krabi. The Blue Dragon Cabaret Show is a well-made show with delicate costumes and a special mix of music. The best part about the Blue Dragon Show is that its stage is not far from the audience. Even if your seat is not in the front row, you still can see the performance very close to the stage. The distance from the stage to the front row is only 2 m.
There are 3 shows every day at 8:00pm, 9:30pm, 11:00pm, thus, you can choose the show based on your schedule.